Multiple sources are reporting that Boston will recall catcher Blake Swihart before Saturday's game against the New York Yankees. The move follows the news that Ryan Hanigan suffered a displaced fracture in his knuckle during the seventh inning Friday's game. Following the game, manager John Farrell said the injury will require surgery that will keep Hanigan out a "substantial period." Per Jason Mastrodonato of the Boston Herald, Farrell met with general manager Ben Cherington and assistant GM Mike Hazen following the news, to decide on how to proceed. Scott Lauber of the Boston Herald and Sean McAdam of Comcast Sportsnet had the initial reports that the trio had settled on calling up Swihart. Those reports have since been confirmed by other media outlets. McAdam added that the organization will also continue to explore external options, but that those options do not include former Red Sox catcher Jarrod Saltalamacchia, who was recently designated for assignment by Miami. 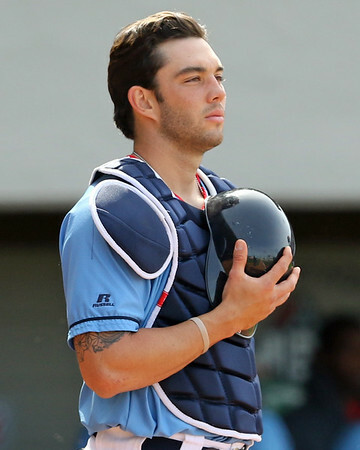 Swihart, 23, is currently ranked the top prospect in the Red Sox organization by SoxProspects.com. The 26th overall pick in the 2011 draft, Swihart has gained significant recognition during his climb through the minor leagues. He was named a Carolina League All-Star in 2013 while playing with the Salem Red Sox, and repeated the feat in 2014 in the Eastern League while with Portland. After hitting .293/.341/.469 between Portland and Triple-A Pawtucket, Baseball America rated Swihart the 17th-best prospect in the game. Following his addition to the 40-man roster in the offseason, Swihart was 10 for 30 in spring training before being assigned to the PawSox. He continued to hit when the regular season started, going 23 for 68 (a .338 average) in 18 games, with three doubles and 11 runs batted in. In addition to his bat, Swihart has drawn rave reviews for his defense, showing sub-2.0 second pop times, good pitch-framing ability, and excellent blocking skills. He also has earned plaudits for his makeup and work ethic. Swihart will become the fourth member of Boston's vaunted 2011 draft class to reach the major leagues, following fellow first-round pick Matt Barnes, supplemental first rounder Jackie Bradley Jr. and fifth-round pick Mookie Betts.